Friday, 2nd January 2015 in France - 2014/15. Woke up to a gallery of Neils iPad sketches which will be used on his new website. They are so good – fabulous one called H’ello Dali ‘– inspired by the DVD the other night. Sun shining so went to Brignole to have a look around. In spite of having been there many years ago I did not remember much about it. 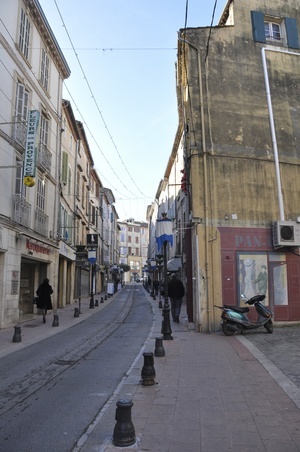 It isn’t really a very memorable town – pretty similar to any small French village – small shops mostly closed today and a few cafes opening on tiny square and the usual tiny one -car -wide cobbled streets. Will probably be a market tomorrow which should liven things up.. 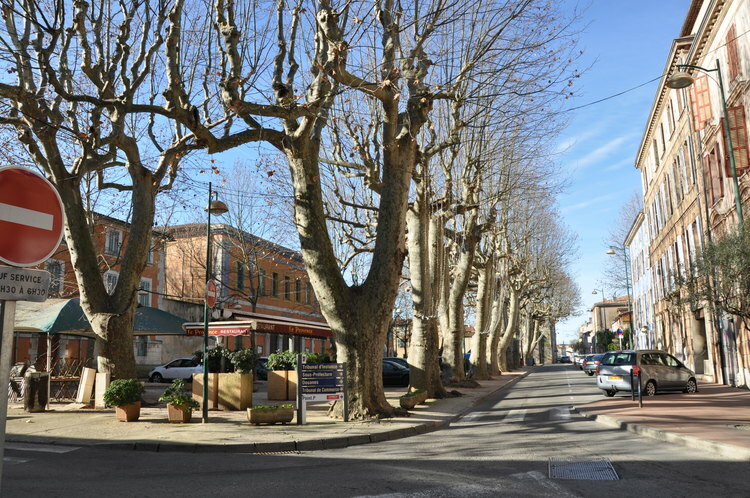 The roads into our village and around the squares are lined with plane trees pollarded so they grow very tall up and away from the traffic. rather then the usual short and stumpy shade pollarding. Picked up a couple of baguettes then drove around getting a feel for the area. Nice racy story about the Abbey de La Celle just outside Brignoles. In the 13C this Benedictine convent attracted the daughters of the Provencal nobility but by the 16 C the standards had fallen so low that the nuns were distinguished from the other women only by their dress and the number of their lovers. The powers that be tried to reform it but it was closed in 1660 on the orders of Guilio Mazarini, chief minister to Louis XIII . It is now, I am told, a highly respectable hotel –I didn’t stop to find out and by time I returned it was 2.30 and warm enough to sunbath – which I did. Odd to sunbath in January in the Northern hemisphere. Neil set up his piano and did a few hours working on some lyrics. Later we walked into the village for some rubbish bags – finding it closed so driving to the next village. Not many gardens in the English sense but outside spaces with a higgledy piggeldy mess of tables, chairs, braziers, balls, slides, pools. toys, bikes – all in a sort of suspended animation as if everyone had suddenly gone indoors -signs of a life lived mainly outside..A beautiful pink/orange sunset gently covered the soft blue sky outlining the stone pines on the top of the hills. Once the sun goes in a chill descends so best to be indoors.. Worked through some French grammar.